“Too many medical professionals still don’t understand that losing weight and keeping it off has less to do with the food we eat, and more to do with reasons behind the eating and the need to change behaviors. 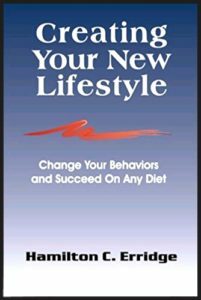 As a result, I wrote this book to allow anyone on any diet the opportunity to gain control, identify and understand their own issues, create new skills and behaviors, and learn to keep the weight off for the rest of their life. I have no doubt this book will bring you inspiration, laughter, and the thoughts and knowledge to truly create a new and healthy lifestyle.